Every week it seems there’s another story about hillwalkers needing to be rescued because they’re “navigationally challenged” (lost!). Navigation courses remain the most popular courses I offer. But navigation – like all skills – is evolving, so I thought I’d write a post on where I am with this nowadays. 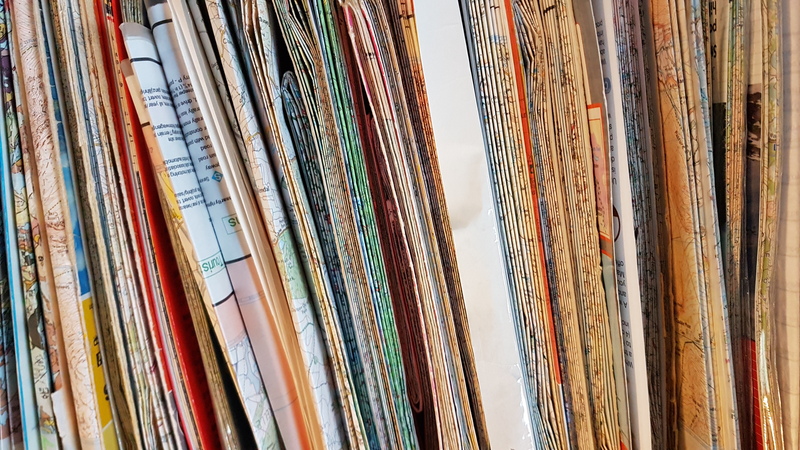 Like most people working in the outdoors I’m a big fan of paper maps – I’m just not much of a fan of the format in which they come! For many years I’ve recommended that clients cut their maps up into useable sizes – there’s a lot of extraneous info on a map that you can lose – chunks of towns, sea, the legend….If I have to carry a ‘full’ map (& I do, I’ve always a spare that covers everywhere I might be) then I’ll tend to carry a Harveys 1:40k. 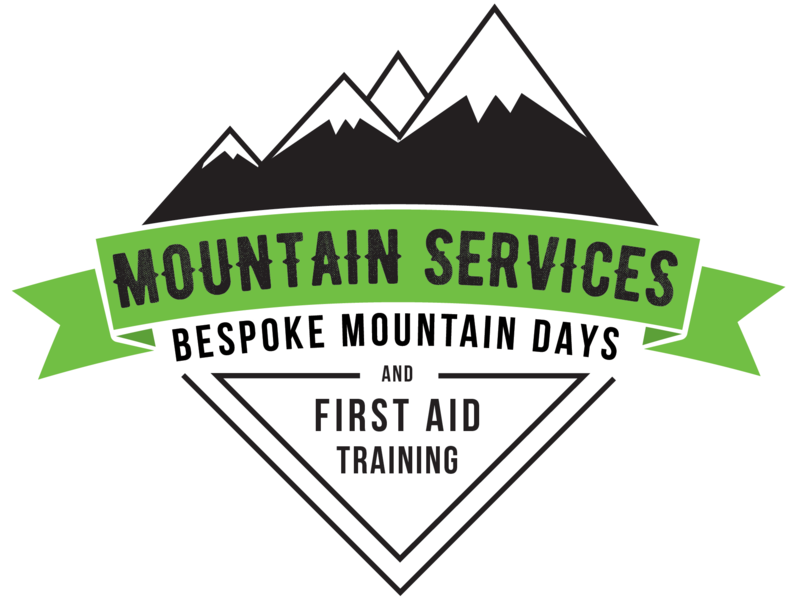 For the Lake District or Cairngorm it covers everywhere I’m likely to be – and its much smaller (due to the innovative waterproof tough paper its printed onto) & as said, waterproof and very very durable. 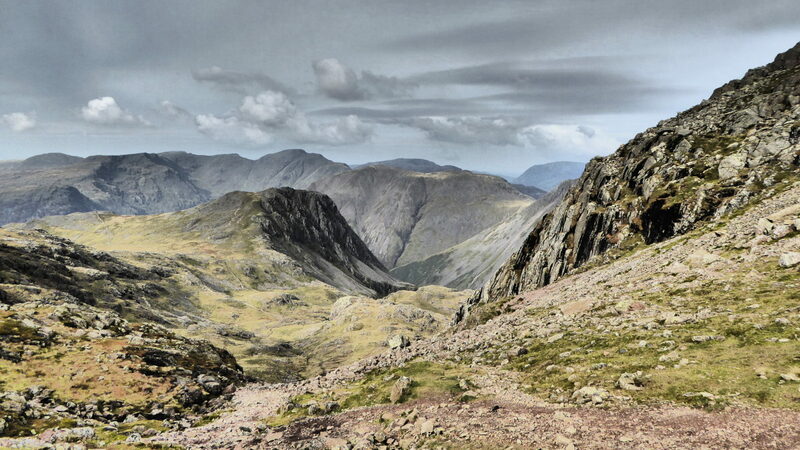 And there’s a key point in that – whilst Ordnance Survey (OS) maps are the gold standard other types are available. 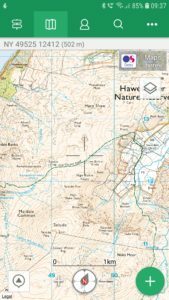 I’ll often use Harveys Mountain Maps or ChasingMaps products on navigation courses. And – not many people know this, the OS data is available from other suppliers. 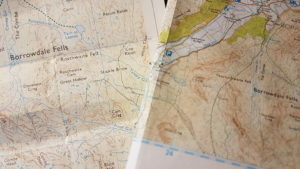 Here in the Lake District you’ll need 4 OS Leisure Maps to cover the popular areas (due to how the UK is divided into grid square) – or – one AA Walker’s Map – with exactly the same Ordnance Survey mapping – the AA have just selected a more user friendly area. You’ll look like a rambler…. 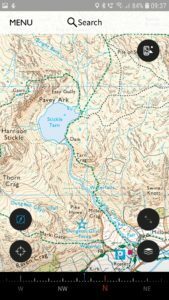 OS Maps from Ordnance Survey. Finally they’ve caught up. This is now the most common way that I use maps – both electronically & paper! So the first thing to say is that I was given a free trial version of this by Ordnance Survey – I’ve subsequently very happily paid for it and will continue to do so! I’m used to paying an annual fee for French and Swiss mapping – so whilst an unusual (at first) model for the UK it’s one that works. For £19:95 (at time of writing) I get the whole UK for the price of just two paper maps – and I get the latest version – it’s a win. But; there’s more. So far I’ve mainly used the maps on a pc as a resource. Coupled with printing double sided onto my favourite ToughPrint I can print out a bespoke map (that I can keep for a long time) that folds up and fits into a pocket. OS have clearly put a lot of effort into the site and are very amenable to suggestions – so there is an option to print at various resolution scales – ie. you can print the 1:25k at 1:12.5 size – literally twice as big. Often when I’m trying to explain to clients that a map contains a lot of detail this larger scale shows them instantly how much they are missing. 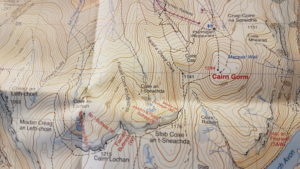 I’m now looking at a cheap A3 printer for larger maps to cover treks – several of the schools I work with have already gone down that route and it works really well. I’ll be getting to grips with the app through 2019 and will report back on that later in the year. Others: In conjunction with a map there are some simple powerful tools that can help. 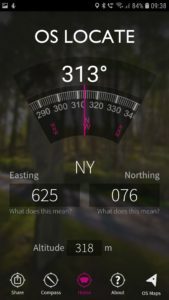 OS Locate is a free app that gives you some simple tools to work with a map – great if your momentarily lost or just need a confidence boost. 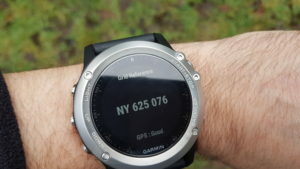 Technology – my watch will now give me a UK (or overseas if I choose) grid reference in less that 6 seconds. Theoretically it can also run maps, but I’m a way off that point yet!